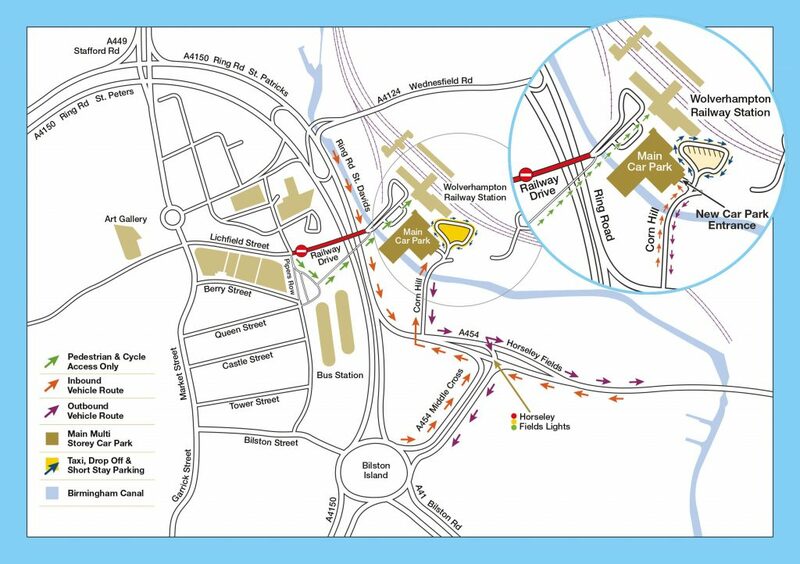 The way vehicles will access City of Wolverhampton Railway Station will change on Sunday, January 8 as part of the city’s £132 million Interchange improvements. This coincides with the switch to a new entrance for the multi-storey car park, which will open for the first time on the same day, after being extended and refurbished on schedule. From January 8, there will no longer be any access to Railway Drive for vehicles. Pedestrians and cyclists should use the access route off Pipers Row. Cyclists will have to walk over the bridge. The old entrance to the multi-storey car park will be permanently removed and vehicles will access and exit the station car park, short stay parking, improved passenger drop-off/pick-up area, and increased taxi rank provision from Corn Hill. The access changes are the first phase of a new-look station, with works due to begin early next year on demolishing the existing station building and replacing it with a new one. The new station building will benefit from an enhanced Birmingham New Street-style ticket office, larger passenger concourse, ample ticket barriers to ease flow onto and off platforms, and much improved retail and café facilities. 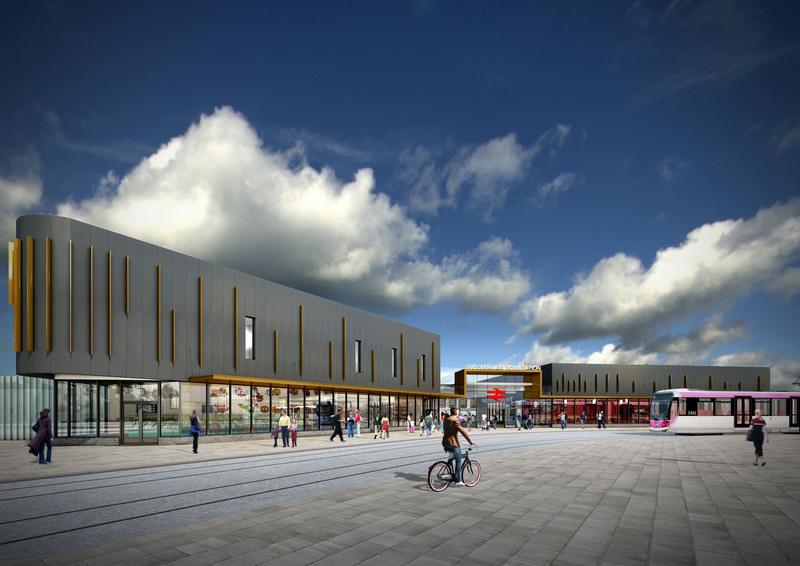 Councillor John Reynolds, Cabinet Member for City Economy, said: “Big changes are happening at the city’s railway station which will improve people’s journeys. “The multi-storey car park is on schedule and there is a genuine excitement about work starting on the new state-of-the-art railway station building early next year. “Meanwhile, I would urge anyone using the station to make themselves familiar with the new access arrangements. Steve Parry, Managing Director of Neptune Development, added: “Each completed phase of works becomes a defining moment in the process of delivering the scheme to the city. The successful completion of the car park allows us the opportunity to begin the build on Wolverhampton’s highly anticipated railway station in early 2017. Dave Whitehouse, Virgin Trains Interchange Project Manager Wolverhampton, said: “The opening of the new extended multi-storey car park is the first of a number of benefits our customers will start to see from 2017 onwards. Follow Ring Road St Patricks, onto St Davids Ring Road and take slip road/exit onto Corn Hill.